Combining years of interviews, extensive research, and painstaking detective work, a journalist exposes the horrible result of Mao Zedong's attempted utopian engineering in China between 1958 and 1962, uncovering a bloody trail of terror, cannibalism, torture, and murder. 12,500 first printing. 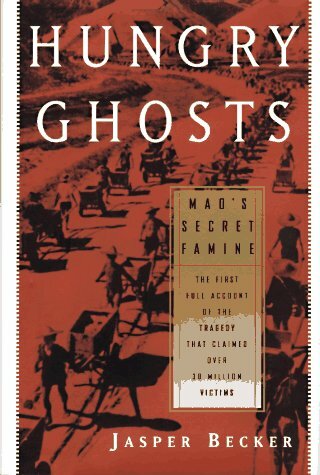 This first authoritative expose of the 1958-1962 famine prompted by China's collectivization plan, "The Great Leap Forward," comes at a time when the cult of Mao is alive and well inside China, and while agents of Chinese influence are able to arrange audiences with a President. Via his painstaking research and reporting that included two treks through interior Chinese provinces, Becker tells how the famine occurred because ill-trained peasants were forced to undertake a gigantic and centralized industrial and agricultural expansion. The new factories, canals, and irrigation systems failed spectacularly, and in contrast to propaganda boasts of having economically outstripped the U.S., when in reality the populace was driven by starvation to cannibalism, slavery, and madness. Jasper Becker is currently Beijing bureau chief for the South China Morning Post. He has also written extensively on Chinese affairs for The Guardian, The Economist, and The Spectator. He lives in Beijing.